Line Charts are the most basic and simplest type of chart used in many different fields. We have been drawing this type of chart ever since childhood, without ever even realizing it has a wide set of features that we are not even aware of. To start with, these types of charts are mostly used to convey changes over time. The chart helps you determine the relationship between two variables, with one variable being independent of the other. They define a quantitative value over a specific interval of time or period. It compares the data over the same period for different groups; so that it becomes easier to analyze the change in data over time. In line charts or line graphs, as they are commonly called, the information is displayed in data points known as markers. This chart is very similar to scatter charts, expect here data points are arranged orderly and joined with straight lines. In the x-axis, the categories are listed and the y-axis denotes the measurement values of given data. To make it more clear, let’s take an example if we consider a body moving at a specific speed and collect the data of the same over a period of time, we can form a data table. To represent this data table in a pictorial form; we will mark the speed points and join them to denote the increase in speed. The graph plotted and obtained will be a line graph. When compared to scatter charts, where data is unevenly distributed in both axes, line charts work better. They can even hold long text labels as they have evenly distributed data with equal intervals in both the axes. The fashion in which the data points are joined by lines is called “dot-to-dot” fashion. The best and main characteristic feature of a line graph is its quality to determine the change in data over a specified period. With line graphs, it is easy to find data like product sales or grade marks etc., that changes over time, say days, weeks, months or years. The line graphs that connect only two points is called a slope graph. These come in handy when you don’t have enough data available but still want to compare two attributes. The x-axis is called the independent axis, as its values do not depend on any other factor. For example, take time, for instance, it keeps moving forward regardless of any change in other factors. 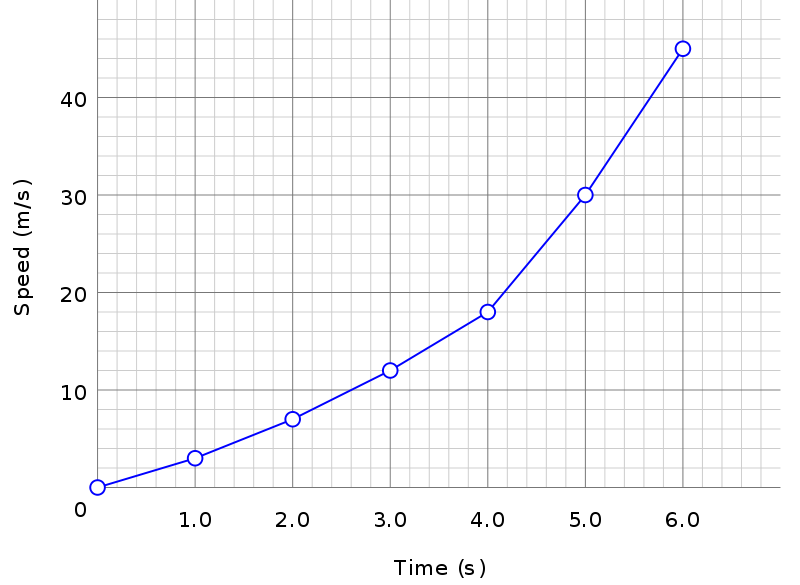 The y-axis is called the dependent axis because the changes in y-axis depend on that of the x-axis. For example, the profit made by the organization depends on the period. The tabulation created after experimenting, analyzing and recording data is not always enough to draw the changes happening precisely. In cases like this, line charts are used to provide the exact trend in the experimental data. The slope lets you know whether the data is increasing or decreasing. The time dimension can be applied to any data-driven aspect, however, other periodic values such as temperature, age, distance, etc. can be used to show changes too. Lines graphs can also be used for comparison between 2 or more factors. For example, you can plot the progress made by schools in one region. Different schools can have different color lines and their progress can be compared easily. However, no more than 4 lines are recommended on a line graph to make it look less messy. Line charts or graphs provide quick analysis of data as compared to other graphs. With line graphs, one can easily tell the range, maximum point, and minimum point. Gaps and clusters in the data can be easily identified in this graph. When drawing a line graph, one can use the exact tabular values recorded. Both positive and negative data values can be recorded in these charts. Line charts have a simple construction and can be easily read. Multiple line graphs have a space-saving characteristic compared to bar graphs, as points are used to denote the data. Changes during a period are easily observable in this graph. The intervals between the data points are readily visible to the readers. Chronological changes can be adequately shown in this graph. Apt for working with when using periodic data. These charts are complicated to interpret when dealing with uneven class intervals. This chart is only reliable when you have data values below 50. Line graphs are not as visually appealing as other graphs. Too many or too few data points acquitted can mask the important patterns of the original information. Can be messy if too many categories are plotted together. Line charts work well with higher data points and different time intervals. Hence, considering all the above points if line charts are what suit your data, do go ahead and plot one.